Synthetic textile is a great material for tops and pants and in common any outfits. Among them, Polyester shirts are truly amazing and men try to have a few set of polyester dress shirts in their outfit collections so that they may be able to go with different polyester shirts with various matches throughout the year. And yet, people are always puzzled between natural cotton and polyester when it comes to buying tops and pants. Understand that every material used for making stylish outfits and designs has its own sets of advantages and disadvantages. And so does polyester as a material. Both natural cotton and polyester mens shirts are not that appropriate only for heated weather circumstances conditions. However, in terms of comfort against heated environment, natural cotton as a material is much better than polyester as it allows better circulation of air and skin friendly allowing you to remain sweat free and relaxed. Polyester also helps you to remain relaxed in heated weather conditions and yet natural cotton is a more flexible choice. However, polyester has its own brownie factors against natural cotton. Rayon tops are stronger than natural cotton tops. 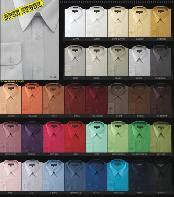 Rayon is much easier to maintain than natural cotton. It cures quicker as it is not water absorbing. It does not get filthy easily and hence it does not require hot water clean as opposed to natural cotton tops. Besides, polyester tops are produced with much convenience than natural cotton tops as the process involved in fewer complexes and it needs smaller raw materials or options. And based on these factors, one can determine that polyester tops are the best for your summer and springtime outfits collection selections than natural cotton. They are far more flexible and complete. MensUSA.com is a flexible web store that products top quality matches and components at very aggressive and reasonable prices. You will see a variety of polyester matches in our exhibits.